Long delayed, much-awaited and shrouded in controversies- 'Jagga Jasoos' is finally releasing on July 14. Film critic Rajeev Masand recently interviewed film’s leading man Ranbir Kapoor and director Anurag Basu. It is candid as anything. No filters, no blinkers! To the point, honest and direct! We all know various reasons and rumours for the long delay of 'Jagga Jasoos' like Ranbir and Katrina’s personal falls outs, Anurag Basu’s much needed break after 'Barfi', among others. Jagga Jasoos Hit or Flop ? Obviously these would affect relationships both on sets and outside, and hats off to Ranbir Kapoor when he bluntly said in the interview that at one point it was so frustrating he would hope bad things happen to Anurag Basu and that he would even abuse him. The roughly 19 minutes of interview was all candid and frank. He opened up about his working equation with Katrina Kaif. In a recent event Katrina Kaif had said that she would never work with Ranbir Kapoor again. Ranbir cleared the things up on this and said he immediately called up Katrina after he heard the news and fired at her, adding there is no reason they wouldn’t work together. Last year when Rajeev Masand had interviewed Ranbir Kapoor, the actor had confessed that he wanted to unlearn everything and rediscover himself as an actor. This time Anurag Basu himself said that he could feel Ranbir’s rediscovery and the transition he has achieved from their last film together. 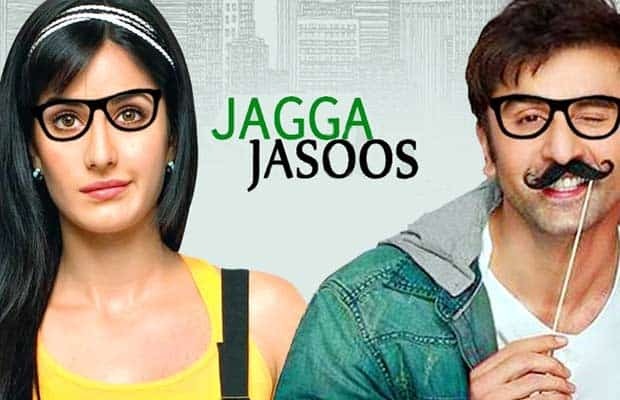 With the insights from the interview it seems that 'Jagga Jasoos' is one of the most honest films made in Bollywood recently and we all hope it runs successfully at the ticket counters.